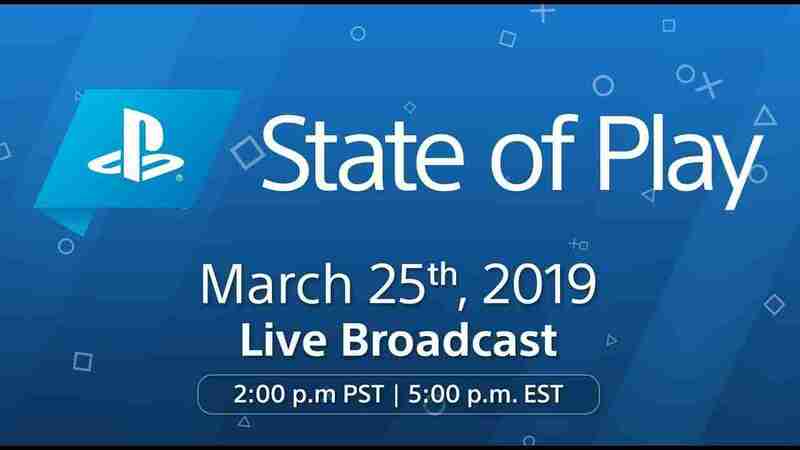 In case you missed it the very first PlayStation State of Play dropped on YouTube earlier this morning. Playing much like the Nintendo Direct updates, PlayStation are looking to go towards more quarterly announcements for what is happening in gaming to let them set their own pace rather than waiting for big gaming events like GDC, Paris Games Week and of course, E3 which is happening soon. The State of Play ran for about 20-25 minutes in total showing off a lot of trailers back to back with an accompanying voiceover but every game shown is something coming out in 2019 with most of the definitive dates being from the next two months. First up is Iron Man with a new Iron Man VR game coming for PSVR. You won’t be battling Thanos on Titan with this game with the trailer and gameplay looks more like a flight sim/shooter. No date was shown for this outside of 2019 but it does remind us a little of the Spider-Man VR Experience released around the time of Spider-Man Homecoming, so possible tie in for End Game, SDCC or perhaps another Iron Man event happening this year. Following Iron Man was some racing with Crash Bandicoot for the new Crash Team Racing Nitro-Fueled. A PS4 exclusive the gameplay does look pretty sharp with 4 player split screen for some couch vs. One of the few games shown in SoP without a release date we are expecting this to drop sometime in 2019. Next was the big announcement although there was not a lot to show with just a trailer. No Man’s Sky Beyond update is adding PSVR support to the game and not just for PlayStation but it will be coming for Steam players as well (sorry Xbox’ers). The gameplay trailer is pretty short showing the ability to look around as you fly/shoot/drive but gets the point across. Anyone who hasn’t been playing NMS might find this a good reason to come back but the team has been doing a lot of great updates over the last year so it might not be the same game as you remember. Next we saw the new game Readyset Heroes, one of the few non-PSVR games. Half Diablo dungeon crawler and half League of Legends, you and your team battle your way through a dungeon in a PvE campaign while another team fights there way through an identical dungeon. At the end, it’s team PvP for a winner takes all loot. Jumping back to PSVR was Blood & Truth the title first announced at Paris Games week. Confirmed for release on May 28th, Blood & Truth is for anyone who was disappointed for the short experience of the ‘Heist’ PSVR demo. Aiming to be the first PSVR title to play like an action movie we are going to have to get our hands on this one to try it out. But it might be good for those who aren’t susceptible to motion sickness in VR. And then we had a montage of PSVR playable games! Everyone loves a montage with Minimayhem Tech (June 18) and Jupiter and Mars (April 22). Some pretty cool gameplay for Falcon Age including a Falcon Fistbump (April 9). A date for the studio behind Rick & Morty’s new game Trover Saves the Universe (May 31). Everybody’s Golf on PSVR (May 21). A Tabletop Game experience called Table of Tales (April 16). And the Job Simulator sequel, Vacation Simulator (June 18). Jumping back to full trailers was the first Devolver Digital PSVR title as far as we know with the Space Thriller Oversavation due out on May 21. Not quite the shooting horror fest of Dead Space but definitely some of the same vibe. And keeping with the horror theme was also a trailer (and some gameplay during the SoP) for the PSVR Five Nights at Freddy’s. There was also some careful wording that went with this announcement making us think this is the first of multiple titles from the same universe planned. Jumping away from horror a little was Concrete Genie. We saw this game previously at E3 with a young boy with a magic brush doing some pretty awesome graffiti which was dynamically generated during its original tech demo. The new trailer confirmed a date for later this year (Sep-Nov) and that the game will also have some PSVR capabilities. Nearly at the end, we had some more Days Gone which is the new Zombie Horde/Biker game. It is coming out next month so expect the marketing for this to kick up more but you might remember this as the game with the Zombie Horde rushing a single player as he ploughed through them with a machine gun and tries to escape at E3 two years ago. And lastly was possibly the best trailer we saw during SoP with Mortal Kombat 11 mixing up Original Mortal Kombat characters and new Mortal Kombat against each other to some 90s hip-hop. Out on April 23, this might convince you to preorder or at the very least look up some Rappers Delight on YouTube. And that was it! Depending on how successful this was we are expecting to see a few more of these State of Play videos across the year with PlayStation wanting to set it’s own timetable for announcements. Big events like E3 will still have their place but it is nice to get some concrete dates for some of the smaller titles that are on our radar. If you have 25 minutes you can watch the full State of Play below but there was not a lot outside of a small amount of gameplay on some announcements that you won’t see in the clips we spliced together above. But what do you think? Do you like this new format? Do you prefer all your gaming in one dump during E3? Are there any titles shown today that you are really hyped for? Let us know in the comments section down below!